Huawei surprised everyone by launching Ascend Y300 which boasts features comparable with the flagship devices from the established giant smartphone maker, but is also unsurprisingly similar to a lot of the low to mid end phones like the Samsung Galaxy Ace or the Sony Xperia Miro that just don’t quite hit the mark. According to the money value the Huawei Ascend Y300 comes with: Android 4.1 (albeit with Emotion UI 1.0), a 4.0-inch 800×480 display screen, 5 MP auto focus camera at the back, 0.3 MP front featuring camera and a decent 1 GHz dual-core processor. If you have rooted your device and and looking to install the latest CWM recovery on your device then you are at right place. Here I have tried to make the tutorial easy to go with detailed step-by-step description. Increase performance, allows you manage running apps automatically. Tons of other customization when you use your new-found administrative rights to flash a custom ROM. Automatically free up storage space, generally all custom ROM manages memory automatically to save memory, it also helps your device to run fast. Increase battery life by installing performance based custom ROM on your device. Make sure that you have rooted your device. Custom recovery allows you to customize with many new options such as frees up the internal memory, improves the battery life and more that you can’t do as a normal user by installing suitable ROM via custom recovery. Before flashing CWM recovery back up all your data on the phone memory, because rooting wipes out all the data on phone memory. Make sure that battery of the device is more than 70%, rooting consumes more battery and avoid the unnecessary shutdowns. Enable the USB debugging on your device by heading over to the Settings>>Applications>>Developer Options>>USB debugging. Install the USB drivers on your computer. Now you need to get the unlock code of your device using the UnlockTool, follow this link for the tutorial. Now unlock your Huawei Ascent, just turn off your device and remove the battery and wait for 5 -8 seconds then put the battery back, now hold the Volume Down button + Power button to turn the phone ON while keeping the VOLUME DOWN BUTTON pressed for at least 10 seconds & unhold all button. Click file “unlock_bootloader” then insert your unlocking code you have got in the previous step and then check the bootloader is unlocked or not, it must show ‘Unlocked’. Your phone should “freeze” on the splash screen (fastboot mode). Now connect your device to your PC via USB cable. Go to the folder where you have extracted the Unlocktool file. Turn off your device and Turn on back by > Pressing and holding the Volume up+Power button simultaneously until the TWRP recovery menu is displayed. In TWRP recovery menu, you will see an option called ‘install zip from SD card‘, select it and browse the CWM recovery that you just transferred to your device’s SD card. Install it, it will take few minutes to complete the process. Now restart your device normally. 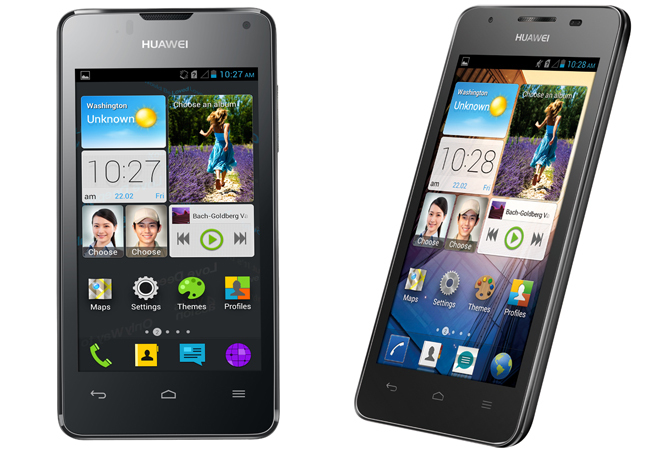 That’s it, you have successfully installed both TWRP and CWM recovery on your Huawei Ascend Y300.